Facebook is pay to play platform. I’m sure you’ve heard that before. But what do you do if your ideal customer is on Facebook (whose isn’t) but you don’t yet have the budget to run paid advertising? 10. Post quality content. We are bombarded with content all day so make sure your content stands out in the newsfeed, gets noticed and is of value to your audience. Take a look at your insights tab at which of your posts performed well in the past, and create more like that! Quality is better than quantity so focus on creating content that inspires, educates and informs your audience! 9. Try posting at different times to increase your reach. Perhaps the best time for you to post is at 5 pm just before the majority of your fans come online. Or maybe you could try posting at some ridiculous time like 4 am when there will be far less noise in the newsfeed and if it’s a good quality post that gets engagement from a handful of your followers you’ll end up reaching far more people than you would have if you had to compete with peak time noise! 8. Mix it up. If you are only sharing updates on what’s currently happening in the office, you are only reaching followers who care about that. Or maybe you’re posting different photos of your product every day. BORING!! Mix up the type of content, so use photos, videos and links posts to engage different audiences in your community. Maybe add a live video to the mix now and then to liven things up! Create a mix between educational content and entertaining content. 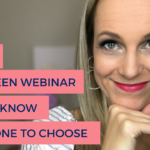 Your audience wants to get to know you but they also want to learn from you. 7. Spend quality time understanding your Insights. A wise woman once said, “If you don’t measure it, you don’t want it”. So study what you see in the Insights tab and do more of what you learn is working. Things you want to be paying attention to is which posts are getting engagement, what type of posts are they and at what time were they posted? Look at who your followers are and ask yourself if that’s a match to who you thought they were. Are they interacting on their mobiles or on desktop? What does this tell you about how you should be reaching them? Create some goals for yourself based on what you learn in the Insights tab. Perhaps you should try to get more clicks on your call to action button, maybe increase your reach or grow your likes by a certain number. Give yourself a goal and a purpose to build more engagement on your page. 6. Create strong visual branding. Can your followers recognize a post that comes from your business at first glance? Do you use strong visual elements that have become synonymous with your brand? Is your logo visible, do you use the same font and the same colours consistently? By building a strong and consistent visual brand you have a better chance of standing out in the newsfeed and creating engagement with your loyal followers. 5. People want to connect with people. When someone engages with your content they want to know that their engagement matters. Be sure to acknowledge everyone who comments and start a conversation with them about what they said. It’s called social media, because it’s social, so be social! 4. Recycle your best posts. If you created an amazing post that got tons of engagement and it is an evergreen post then repost it every now and then. Only a fraction of your audience will have seen it the first time around and chances are that your audience has grown significantly since you last posted it. So share it again! 3. Became a valuable resource to your audience in your niche. Let’s say you sold eyebrow sculpting. Chances are that your audience is also into things like beauty and fashion and make-up. Share valuable content with them from other content creators where you may have an overlapping interest. No one is only interested in the one single think you peddle. They have broader interests so tap into those and become a source of educations and inspiration to them in this broader field. 2. Create a content plan, If you wake up every morning and have to decide what you’re going to post on Facebook today, I guarantee you will run out of speed in about 6 weeks, if you even last that long. Decide what you’ll post ahead of time and batch create the content. 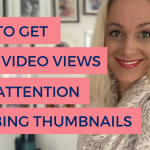 This will free up your time to engage more with your audience, allow you to be more strategic in what you create and give you a body of work you can use to repurpose on other platforms too. 1. And now for number one way to create more organic engagement on Facebook. …. 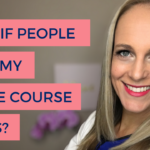 I’m going to let you guess this one… if you’ve been hanging out with me here for a while you know exactly what I’m going to tell you is the no1 way to create organic posts on Facebook. …drumtroll… GO LIVE!! Facebook is spending gijillions of dollars to promote the use of the live feature and I can honestly tell you that it is the easiest way to build an engaged community right here on Facebook. 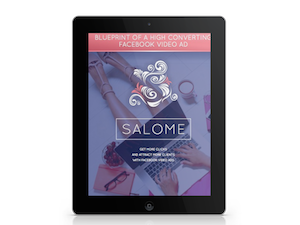 If you know someone who wants to grow their organic reach on Facebook then tag them or share this video with them. That’s all for today folks, thank you for watching and continue to be #FacebookFabulous! !